Training for Speed? Say Goodbye to Your Traditional Resistance Bands! OK, not really. 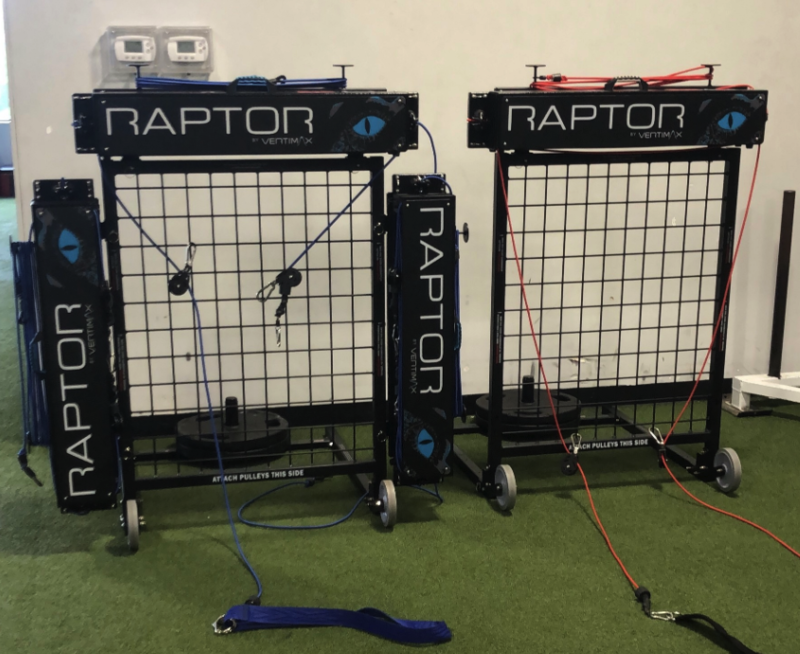 Save your traditional bands, but when it comes to training for top-end speed let’s broaden your performance training toolbox with cutting edge technology that will forever change the way athletes train for speed with the VertiMax Raptor. There is a reason why the top NFL, NBA, MLB, colleges, high schools, and youth sports teams use the technology. VertiMax changed the way elastic bands work by not allowing resistance to radically increase as the bands are stretched. One of the biggest challenges when training with traditional bands are that the resistance dramatically increases as the bands are stretched. The farther you stretch a traditional band, the greater the resistance. 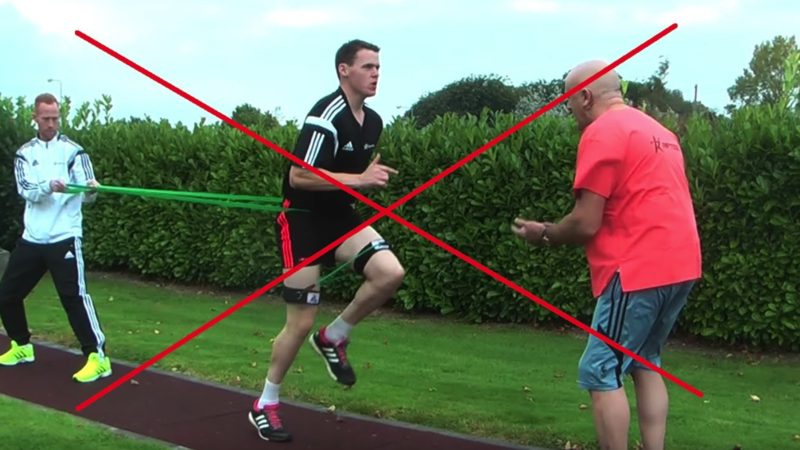 Traditional band resistance can be beneficial for some portions of training, but if you’re training for maximum speed you can’t do that with traditional bands at an extended length due to the resistance being too high and hindering an athlete’s form. Body awareness and body control are critical for success if an athlete wants to improve performance.The VertiMax Raptor allows athletes to elastically load for any drill, any movement, and at any speed for distances of up to 45 yards. The device uses patented pulley technology that allows the band to remain consistent. The elastic bands run through the pulley system and attach to an athlete which provides the consistent resistance up to 45 yards away. Picture this, if you want to improve an athlete’s acceleration performance over 30 yards you can attach them to a traditional band and have them sprint 8 or 10 yards before the resistance builds and stops them, or you can connect them to the VertiMax technology and have them sprint a full 30 yards with a stable elastic load. Which method do you think will provide a more efficient training response and better speed gains? Strength gains from resistance training are highly correlated to the velocity you train at. Low velocity training (heavy squats) builds low velocity strength and high velocity training builds high velocity strength. If you are trying to increase high velocity sports performance you need to engage in a light load, high velocity training regimen. Simply put, the ability to generate more force at higher velocities will directly lead to increased speed. The VertiMax technology provides the ability to train at a high velocity with a light load. Raptors also maintain a stable resistance moving in any direction from start to finish. Coaches can now effectively load athletes and maintain their stability while changing directions during any drill imaginable. With the 360 belt included with the system, athletes can sprint away from the unit, turn and rotate in any direction without breaking the resistance (never going slack). This provides the ability for change of direction drills and over speed training. Check out some of the movements in the video below done at Bommarito Performance Systems. 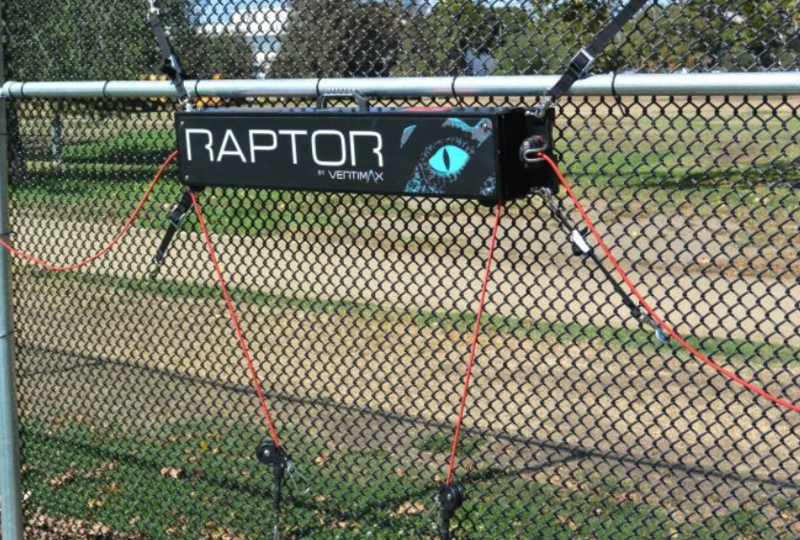 Raptors are also portable and can be mounted to a chain link fence, mobile support unit, mounted to a wall our attached to a squat rack. Fence Mounted: Can be mounted to a chain link fence using the included attachments. Portable Mount: 1-3 Raptors can be mounted on the mobile support unit to be able to train anywhere. Wall Mounted: Raptors mounted to the wall for the Atlanta Braves. Can be mounted vertically or horizontally. Can also be removed from wall easily to travel with. Rack Mounted: Custom Raptor face plate courtesy of Sorinex for the Charlotte Hornets. Traditional resistance bands are still very relevant and need to be, but the VertiMax technology is an innovative tool that will help anyone expand their sports performance toolbox. The patented, consistent resistance technology will change speed training forever. Whether you are a trainer, coach, professional player, high school athlete, or even a younger athlete, no training solution will do more to increase first step quickness and top end speed while maximizing the ability to dominate the game.